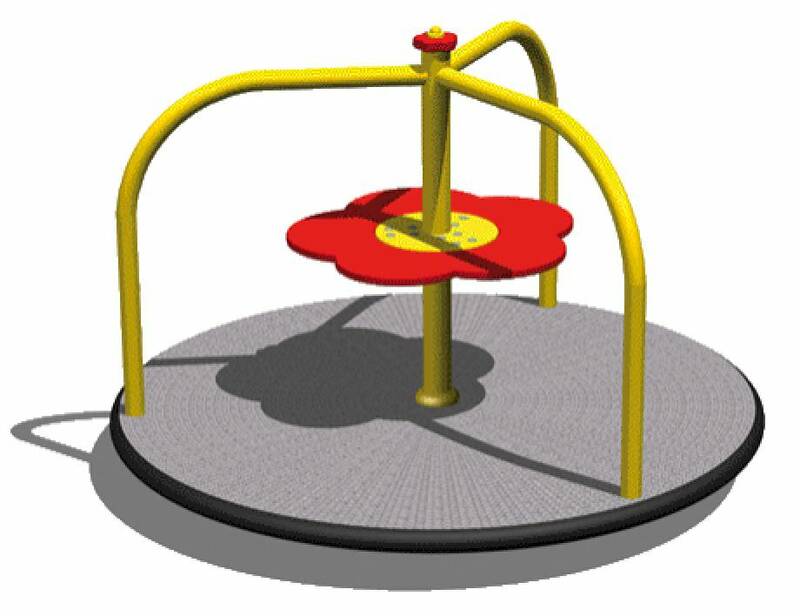 Exclusive fun merry-go-round in the form of a coloured flower. 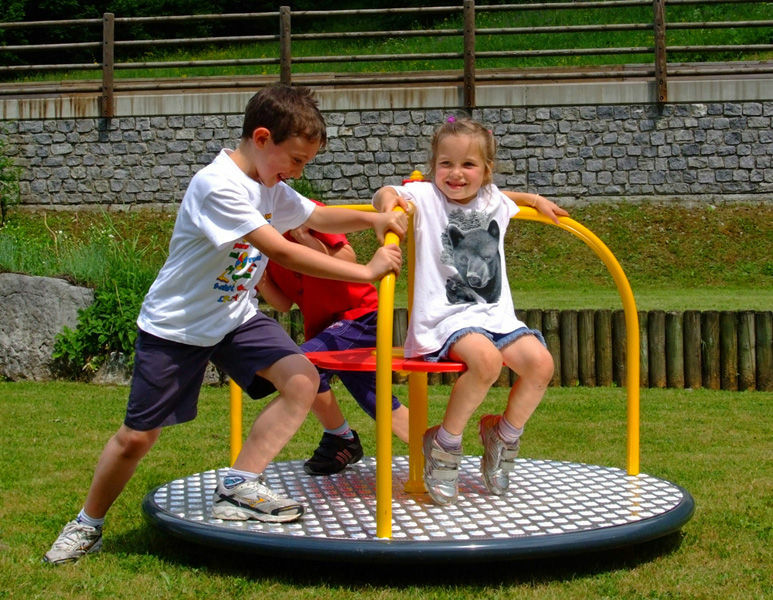 It comes with a large rotating platform with fixed handles to create different play situations for the bigger and maximum safety for smaller children. With one foot on the platform and one on the ground kids can push the game (skateboard movement), bigger kids can also run around pushing and then jump onto it. Who sits on the central flower is enjoying the centrifugal movement. The chassis is made of hot galvanized steel and varnished. The seat is in PE, the platform with anti-slip surface. Given the quality and strength of the materials used, this game does not require mantaincance. Made of steel, aluminium and polyethylene thickness 20mm, 100% recyclable.